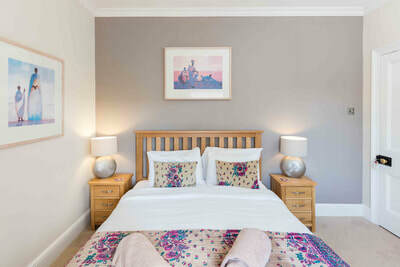 Tastefully decorated to a high standard with soft furnishings from Laura Ashley and Egyptian cotton bed linen. 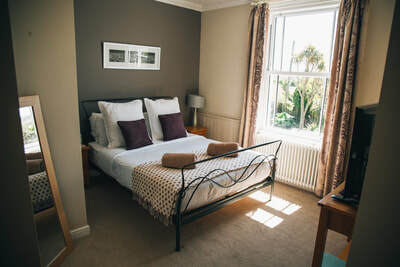 Each room is fully equipped with smart TV, en-suite bathrooms and king size beds that are super comfortable. There are well-stocked tea and coffee making facilities with a selection of Cornish biscuits. Each room also has hairdryers and a mini fridge for that little extra comfort level. Please note there are no single-night bookings for Fridays.